Saarein is one of those typical ‘brown bars’ in the Jordaan neighbourhood, with a welcoming and laidback atmosphere, a small, frequently changing menu (and tapas) and a beautiful collection. It is a gay bar by origin, but everyone is welcome. The bar is medium-sized. Downstairs, you’ll find a bar with a beautiful tap. The basement houses the large smoking area, with a pool table and a pinball machine. The entresol houses small tables, where you can sit and enjoy the view through the large windows. The small menu frequently changes, with dishes at an affordable price, both vegetarian as non-vegetarian. Other items on the menu include tapas, different beers on tap and delicious wines. Laidback, welcoming and friendly. The crowd consists primarily of gay people from all ages, especially at night and on the weekends. The rest consists of locals, tourists and shoppers. 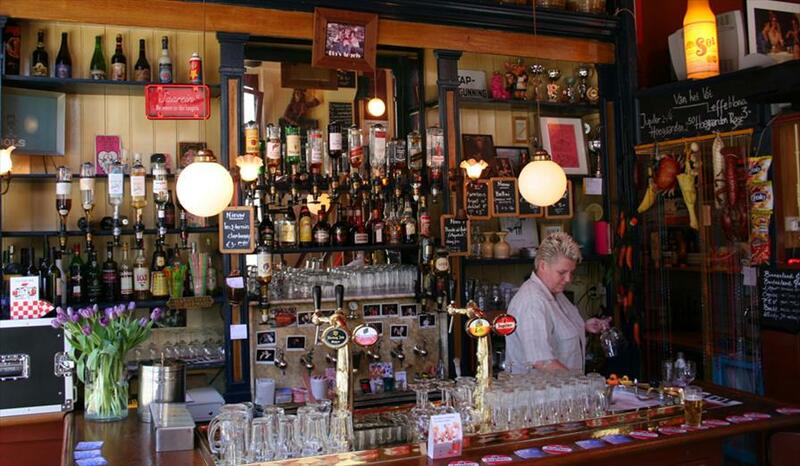 Saarein used to be the oldest women’s bar in the Netherlands. Ever since 1999, everyone is welcome. Adamant smokers don’t have to sit outside on the pavement, they can use the large smoking room in the basement. Saturdays and Sundays, starting in September, the bar is open for lunch. Every second Sunday of the month there are sing-a-long afternoons from 4pm to 7pm, except for the months of July and August. Delicious cava. 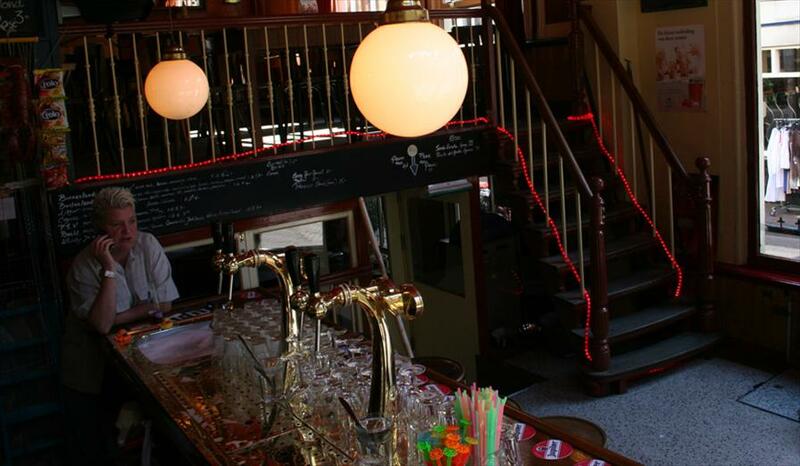 Alternating special beers on tap, Jupiler beer, Bellini during the summer (cava with white peach pulp), Max Havelaar coffee, lots and lots of cigarettes.